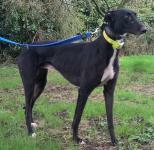 Paddy is a quiet natured boy who is happy with all the others or on his own. Loves the attention given to him and knows his name very well. This boy will settle into a home very easily.